Music from the Motion Picture Soundtrack. By Queen. Easy Guitar. Movies, Rock. Softcover. With guitar tablature. 80 pages. Published by Hal Leonard (HL.289632). 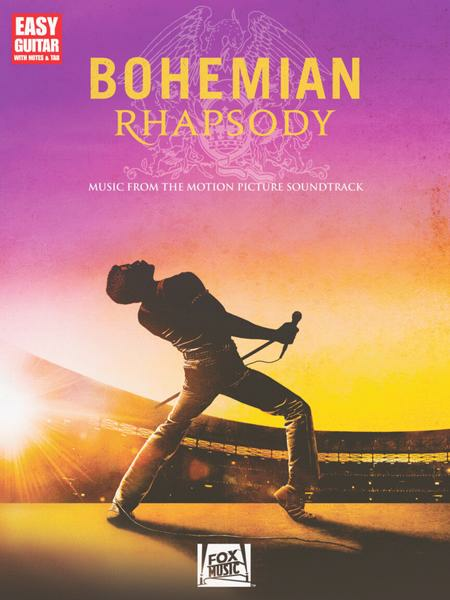 15 songs from the motion picture soundtrack transcribed for easy guitar – you even get Brian May's awesome rendition of the Twentieth Century Fox trademark fanfare! In addition, it includes: Another One Bites the Dust • Bohemian Rhapsody • Crazy Little Thing Called Love • Keep Yourself Alive • Killer Queen • The Show Must Go On • Somebody to Love • Under Pressure • We Are the Champions • We Will Rock You • and more.